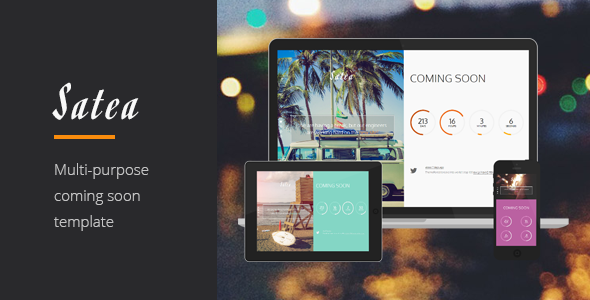 Satea is a responsive, modern, stylish and HTML5 coming soon template based on the Bootstrap 3 framework. It’s ultra responsive and made for all kind of devices – from desktops to tablets and mobile. Item Reviewed: Satea New Responsive Multipurpose Coming Soon Page 9 out of 10 based on 10 ratings. 9 user reviews.